But one question has me stuck – and that dear reader, is where I am turning to you for assistance. So, my publisher has told me the book cover is ESSENTIAL to making a sale. They are going to be briefing their cover design team in two weeks and they asked if I had any ideas for how I wanted the book cover design to be. Straight away I whooped “Yes”. But, when I thought about it and I realised I have no idea what the book cover design should be like. And, in actual fact, I know nothing about book cover designs. Which is where I need your help! The conventional cover design for a book on how to buy property at auction would probably have some sort of reference to property and auctions – probably in the form of a gavel or a house, or property of some description. And maybe it HAS to be that simple. But somehow it just feels a bit *meh*. Or am I wrong? The fact is the book cover design has less than 10 seconds to make an impact with the buyer. Of course, if you’re not thinking about buying property at auction, then you probably won’t be looking at my book. But, if you were looking for a book on property and you happened to then see a book about buying property at auction how could I tempt you to look more? Apart from the words – what is it about the cover design which will tempt you to add my book to your shopping basket? Having visited Waterstones, I’ve realised, it’s actually online bookstores like Amazon which are going to be the key sellers and distributors of my book. Which means the cover design needs to stand out from the SCREEN rather than the shelf. 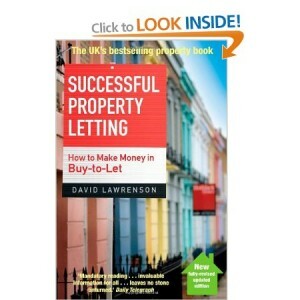 Admittedly, it’s a book on “Successful Property Letting: How to make money in Buy-to-Let”, which could arguably have a wider audience – however many great buy-to-let bargains can be bought at auction (plus lots of great property development deals) so I feel this book is a good comparison. But, still when I look at this book cover design I do not feel inspired: I do not feel like “Yes, I MUST buy this book”. And, that is where I am struggling – maybe I am too close to this, maybe I should just write and let the designers design. But then I thought to myself – I wonder what my readers think? I wonder what they would like to see for the book cover design, I wonder what ideas they may come up with? And as a picture is a worth a 1000 words I have started a Pinterest board on the very subject of this book cover design and I would love for you to add your pins/ images/ ideas/ comments. Feel free to share and add ideas – I would love to hear how you think the book cover design should look! Great post Sam, I think you should have a photo of you maybe infront of a door or property or something. You exude personality and that will come across in your book, and as we know people love people. So, I love this kind of stuff. Designing things etc. Not thats it’s my job at all. I would ask yourself about look and style. Does it need to just do what it says on the tin? Could it perhaps have a hint to a specific period or type of design (typography wise)? Or does it need to look more towards the future with a more minimalist design/feel? Therefore giving the feel that the book is “right up to date”. Perhaps a nod to something that deals with the property industry – like architectural drawings? What colours of book covers caught your eye when you wandered around Waterstones? An image of a house and a gavel seems too obvious to me. But is certainly a quick read – which is what you want after all. But perhaps you could do an interesting take on it to make it look more catching to the eye. Perhaps a minimalist outline of a house and gavel in gold on a white background. Would a passer by make the psychological reference to money with the gold image? Who knows? Going onto google images is always a good place to start for picture references and colours etc. In fact, if you type in property auction into google you do get lots of houses and gavels, but there are a few other images that are fun. Hmmmmmm….. I’m going to think about this for a while and if I come up with something I’ll let you know. Good luck. I feel it has to do “more” than what it says on the tin: I believe it has it be aspirational and inspirational – like “YOU WANT TO BUY PROPERTY FROM AUCTION” – which could potentially lead to riches (love your gold reference). I do want it to look “up to date” but not too “passing fad” if you get my gist. I thought I liked some of the books in Waterstones…but then I struggled to see how I could get mine into that cover…and then when I got to thinking about stand out on the screen I then got stuck! Hi Sam – can’t seem to upload images onto your your pinterest board. So have created my own and invited you. Happy to repost if you let me know how. My best idea: ripples on a still lake with the reflection of a house in the water…….auction property buying mustn’t be scary!! I’ll admit that I don’t know much about this sort of thing, but if the book is written in the same style as your blog then I would like to see the cover reflect that. I look at property book covers and struggle not to fall asleep, so maybe something relevant to the topic, but light or relaxed at the same time? Whatever you decide, I am sure it will be great! Thanks Anna, you make some great points. I agree about property book covers – how boring are they!!! And the sad thing is – being in property is wonderful fun – especially when you’re talking about property auctions!! You say: “If the book is written in the same style as your blog then I would like to see the cover reflect that” I know this is hard – but is there any way you could try and elaborate more on that so that I can try and understand it more? When I read your blog, I find myself chuckling at the way you look at things or at some of the things you experience or try. This is one of the main things that draws me to your blog (aside from liking property). I know I’m being vague and I apologize (I am trying to explain, I promise! ), but I would like to see a cover that reflects you, your humor and how you see the auction market. This has probably just made you more confused (Sorry again! ), but as I said, I’m sure that whatever you choose will be awesome! Thanks Anna, I have been musing on your comments. How does: “quirky & entertaining” sound – does that encapsulate some of what you are trying to explain? I think you’ve summed it up in a nutshell!